There are no accidents in nature’s designs. Evolution tends to move towards balance and aids the survival of life forms and entities that exist towards that end. So, what is the purpose of adolescence? Our orientation in youth & community development through rites of passage recognizes reciprocity between the transformation processes that occur during adolescence with those occurring within their parents. 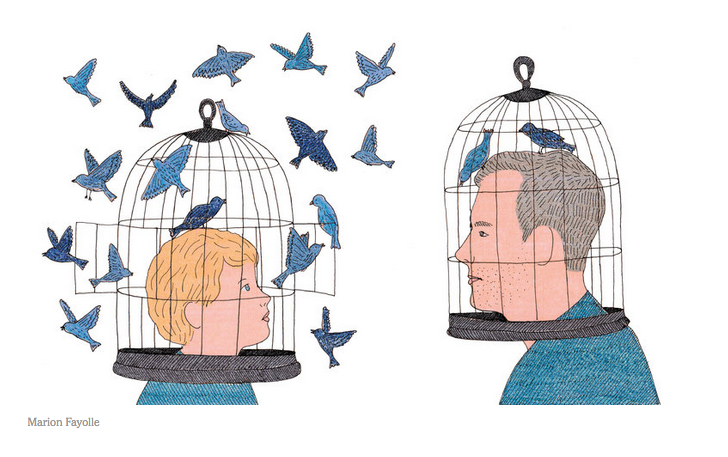 The potential for a “collision of transitions” between adolescence and mid-life is at hand. These transitional periods also have implications for change and transformation in one’s family, community, in relationship with their culture/ancestors, spirit and the natural world in which one lives. What might be possible if instead of our narrow focus on teenagers as if they are inherently a problem that needs to be fixed, they actually were designed by evolution to hold the keys to our survival and the future? 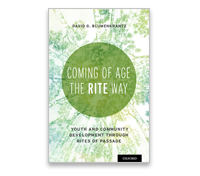 The Planetarium Initiatory Event® PIE® explores this orientation and the potential that exists if we employ adolescences in this way. “Why does creativity generally tend to decline as we age? One reason may be that, as we grow older, we know more. That’s mostly an advantage, of course. But it also may lead us to ignore evidence that contradicts what we already think. We become too set in our ways to change. One only has to Google adolescent discoveries to substantiate what G&G’s is talking about. In fact, it should be part of “best-practice” in every scientific laboratory and endeavor to include teenagers. Their out of the box proclivity and talent would open doors to new possibilities unimaginable to the mind stuck in “exploiting” old ideas and methods. Community oriented rites of passage were our primal ways to exploit this powerful adolescent capacity. Recently neuroscientists have even discovered that the adolescent brain is different from that of a young child and adult. If you’ve ever parented, hung around or worked with teenagers for very long you’d know this to be obvious. 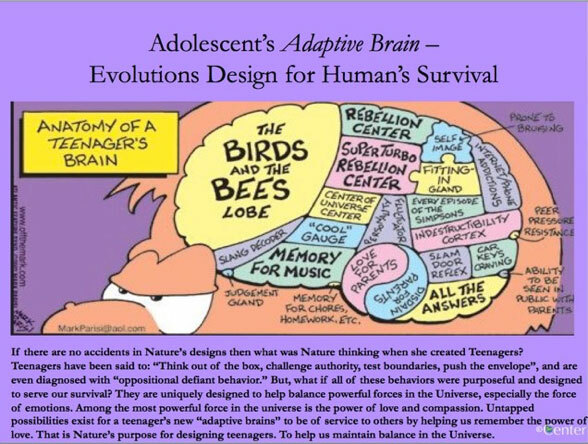 They call the teenage brain the “Adaptive Brain” for the very reason the we all know and G & G writes. They continually test boundaries and yearn to experiment and experience the world on their own terms. ♥ ©- Copyright David G. Blumenkrantz. In the spirit of reciprocity please share freely with attribution.